We finished reading The Wild Robot this week! And we started listening to Charlie and the Chocolate Factory. It's a little tricky to find books to read aloud to both boys and there are some books that I read with Peanut that I want Little Bean to read too. So Charlie and the Chocolate Factory is a repeat for the 10yo and new for the 7yo. It's fun so far. I've been listening to Sisterhood of the Traveling Pants and I did read some of Solo. Oh! And Colby sent me an ARC of The Creativity Project and of course I started reading right away. It's fantastic! I set a goal to get back to my Celebrate posts and thanks to Crystal for checking in on me, I did! That feels pretty great. Over at Story Exploratory I celebrated being on a literacy panel at 826CHI. This week I'll be reading with the boys and listening to Sisterhood of the Traveling Pants. 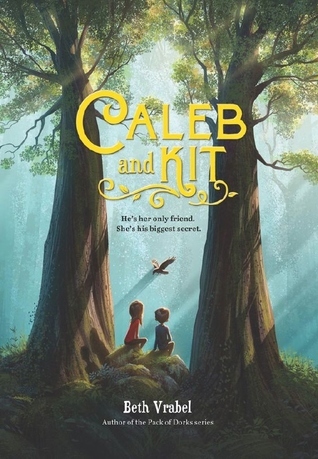 I also plan to finish up Solo and read Caleb and Kit so I can review it. I'll also finish up The Creativity Project...because yay! Last week I struggled to find time to read so we'll see how this week goes!